Brief Synopsis – Based on the true story of how entrepreneur Steve Jobs started a little company called Apple in the mid 1970’s and how he got to where he did within less than 30 years. My Take on it – The rocky road that Steve Jobs traveled with his company Apple has been well documented, but to actually see it play out onscreen was a real pleasure. Ashton Kutcher does an excellent job channeling the former entrepreneur. I really enjoyed the way that we get to see all of the major stepping stones in his rise to ‘power’. The story is told in a way that it inspires and motivates the viewer, but despite that, it still feels like something is missing that would have elevated the story to an even higher level. The rest of the cast besides Kutcher is also great. I loved Josh Gad as Waz and Ron Eldard, Dermot Mulroney, Matthew Modine and Lukas Haas are all enjoyable to watch. 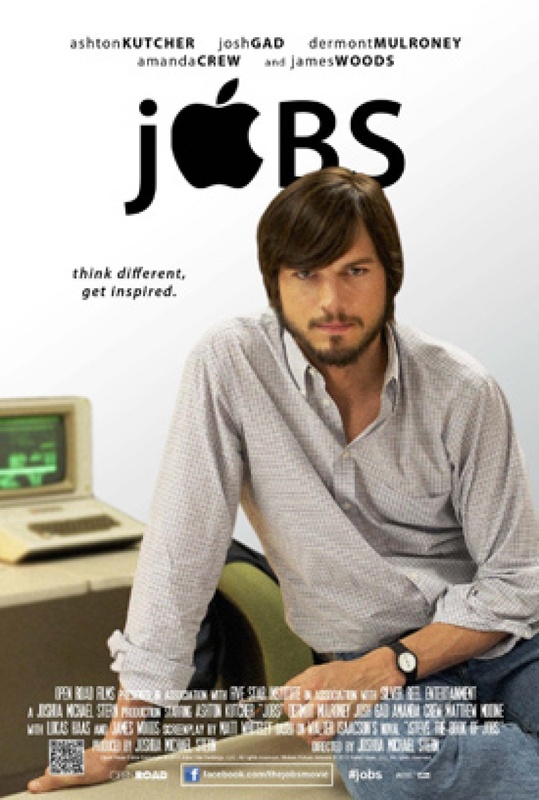 Here’s to hoping that the just announced Jobs biopic starring Christian Bale will have that extra bit that will elevate it to a higher status. Bottom Line – Kutcher does a great job embodying Jobs but as motivating and inspirational as this is, something seems missing that could have elevated this to being even better. Great cast. Recommended! Genre Grandeur Worthy? – Once again, unfortunately not. This is told in an inspiring way, but it wasn’t inspirational enough to make it one of my new favorites. I felt bad for Kutcher here. He’s obviously trying, but the material just wasn’t there to lend him a helping hand. Good review. Great review, I am looking forward to watching this!